As is often the case in Burgundy, the story of the Gavignet-Béthanie estate is first and foremost a family tale. 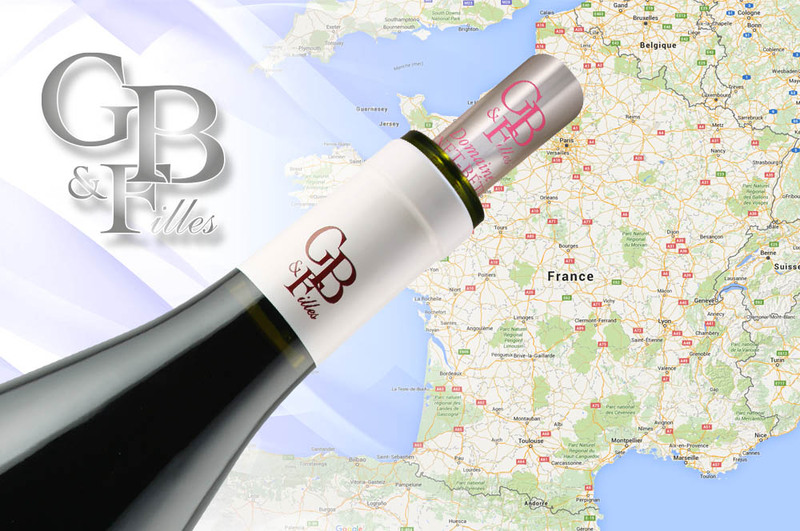 On one side were the Gavignets, winemakers in Nuits-Saint-Georges for three generations, and the other, the Béthanies, who have been making wine in the region for more than 70 years. In the 1970s, Christian Gavignet worked first with his father, known as “Gaby”, winemaker at the Hospices de Nuits, and with his brother on the family estate. Just as Christian decided to set up on his own, in the Béthanie camp, Grandpa Marcel, seeing retirement looming, entrusted a few hectares of vine bought with his savings as an employee to his daughter Michèle. And so when Michèle and Christian married, the Gavignet-Béthanie estate was founded. In 1968, Christine was born, and five years later, Claire arrived. One vintage followed another, the daughters grew up, and Christine went of to winemaking school in Beaune where, in the 1980s, she felt quite alone amidst all those sons of winemakers! Having attained her winegrowing and oenology diploma, she tried to find her place alongside her father. She started out in the vineyards, where locals were surprised to spot her at the wheel of a tractor when she didn’t yet have a license. She then moved into the winery, where she gradually learned the ropes. She also worked in the wine-tasting cellar, Gavignet-Béthanie being among the first estates to open premises for the public as early as 1985. And business was booming, with Parisians returning from vacation taking a detour to Nuits-Saint-Georges where they were delighted with the welcome they received there. These individual clients, who were also nurtured by the many wine fairs attended by the family, made up the core of the estate’s clientele. The Gavignet-Béthanie estate has always put its private clients first. At the end of the 1990s, the family took part in its first wine fair, a practice that at the time was not very common in the region. 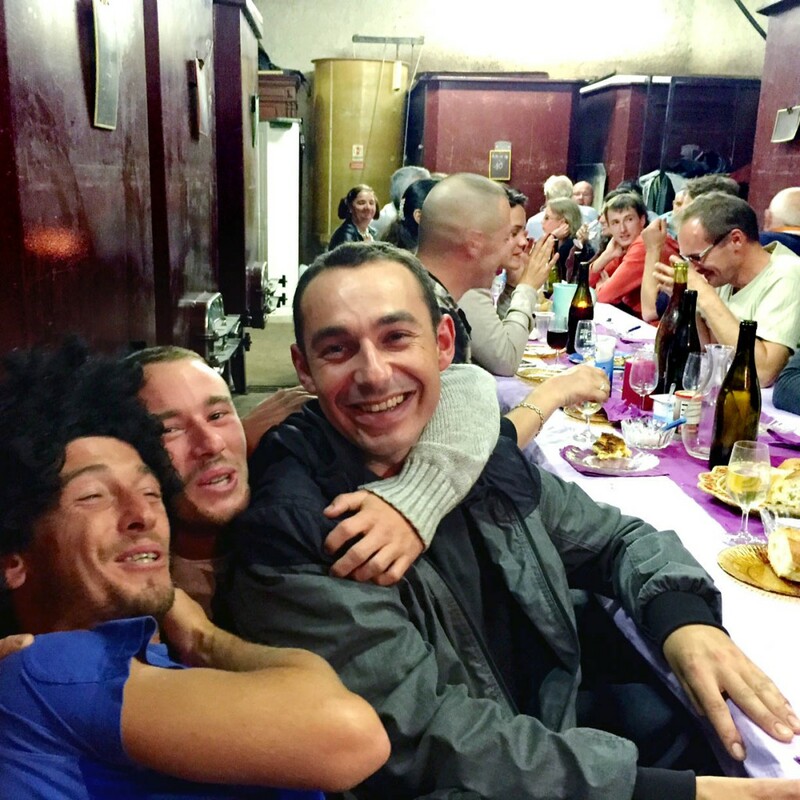 Since then, Michèle and Christian embarked on an annual tour of France of wine fairs and trade shows, much to the delight of their clients, who would not miss their regular meeting with the Burgundy winemakers. Almost 30 years later, Michèle remains true and never misses a fair. Claire and Christine prepare the orders, load the truck, and update the tariffs and the presentation of each vintage. Then Michèle hits the road. Despite being in her 70s, she still sometimes drives across France by night to get back to her daughters in the Côte d’Or at dawn. When Claire joined the estate, Christian handed over some responsibilities, but nonetheless remained a strong presence. Gradually, the daughters worked their way into the fabric of life on the estate, starting their own gentle revolution. Perched at the wheel of a high-clearance tractor, both Christine and Claire would attract the odd stare by those surprised to see women doing this work. Some even stop to take pictures! They just find this amusing, and move forward together through thick and thin, convinced that working as a pair is a guarantee of regularity and stability for the future of the estate. A new team, a new departure, a new approach: The estate took a fresh direction in the 1990s. Renamed Gavignet-Béthanie Christian et Filles, it was rejuvenated with fresh ideas. Christine and Claire introduced the first “green harvests”, when some of the unripe bunches are removed to improve those remaining. They also began removing suckers and excess buds, which results in better spaced growth on the vine and nicer bunches. After a few vintages, they finally managed to convince their father of the benefits of certain practices, notably deleafing. Christine and Claire had just one aim in mind: Quality. At the end of 2003, Christian Gavignet died following a long illness. Michèle handed over the vine and winemaking part of the business to her daughters, to concentrate exclusively on marketing the estate’s wines. The team had already been strengthened by the arrival of Jean-Noël, Claire’s husband, and was now more solid than ever. Even Christine’s husband, Didier, who has a career in sport, now participates in the strategic decisions of the family company. There is also a helping hand from neighbors and other winemakers in the village. The daily life of the daughters is dictated by estate’s needs: The vines in the morning, with afternoons spent in the office dealing with administrative matters and customer orders. Christine and Claire are now women of experience. Since their first vintage in 2001, they have continually kept the estate up-to-date with current trends, without turning their backs on tradition. 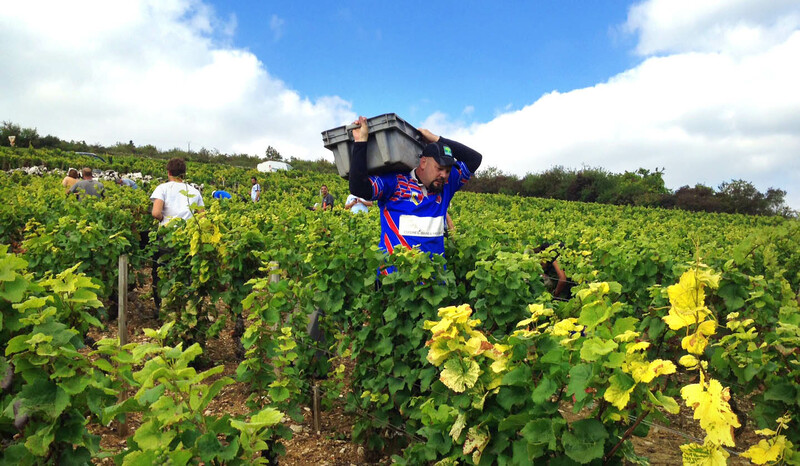 You just have to look at the atmosphere during the harvests at Gavignet-Béthanie to get an idea of their approach. 8am. All hands on deck at the Gavignet-Béthanie estate. After a “light” breakfast of charcuterie, camembert, herring, and chocolate for the hungriest, the 30-or-so pickers hop into the truck. They head out for the plot known as Les Damodes, to the north of Nuits-Saint-Georges. As team leader, Christine motivates the troops. Heads down and armed with their secateurs, the cutters work their way along the rows, and as the buckets are filled, the porters carry the fruit to the tractor. Meanwhile, in the kitchen, Michèle and Claire are faced with a dilemma: Potato cake, or bœuf bourguignon? Grape pickers have healthy appetites, and they can count on two good cooks in the family to replenish their strength. Noon. The secateurs are tossed into the buckets. Their hands stained with grape juice, the gang takes a well-deserved break and devours the meal prepared by Claire. After fruit charlotte and a quick coffee, the pickers head back out to the vines. This afternoon, they will tackle Les Poulettes. 2pm. It’s back to work in the vineyards. Christine makes sure no one is lagging behind. And if necessary, she encourages the pickers to help one another out, which in her view is the best way to remain motivated. Row after row, vine after vine, the fruit of a year’s work is gathered. 4pm. The pickers backs are starting to get stiff, but Christine breaks out the candies and chocolate, knowing that a good sugar boost will help them attack the home straight. 6pm. 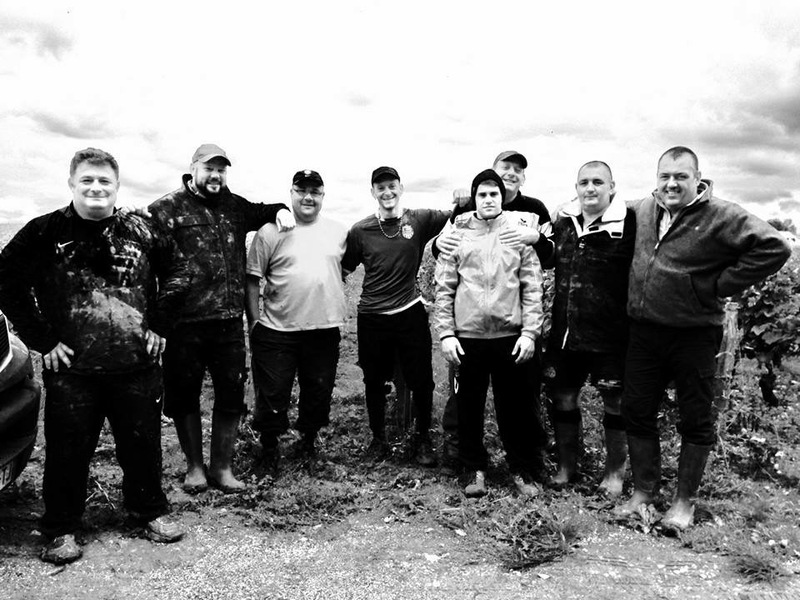 The day’s work is done and the team can heave a sigh of relief. They look back with a smile on the results over a glass of sparkling wine, all the better to prepare for tomorrow’s labors. 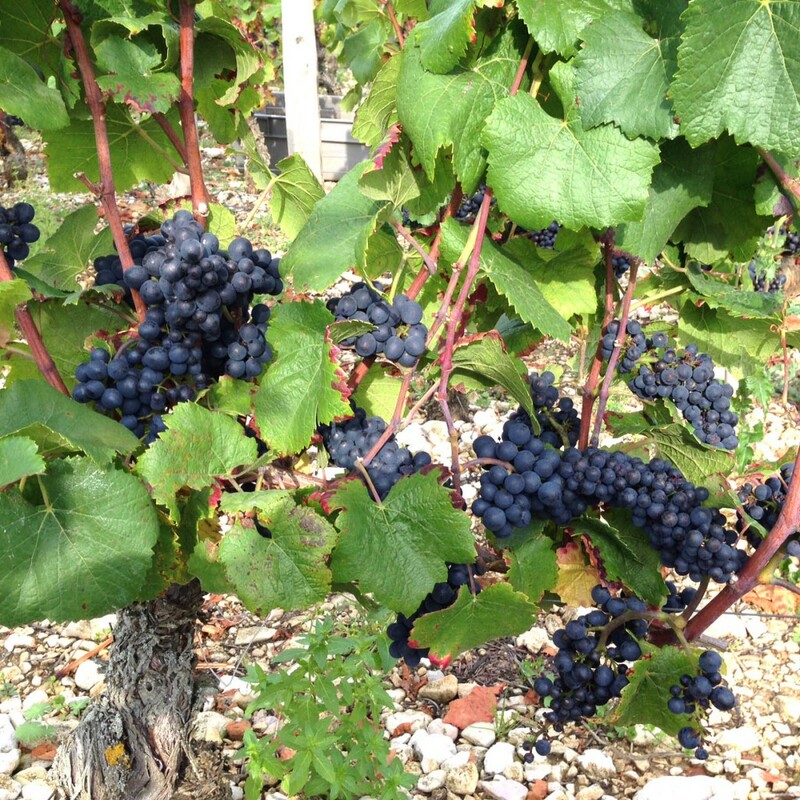 In three or four days, the harvests at the Gavignet-Béthanie estate will be over. The calm after the storm. 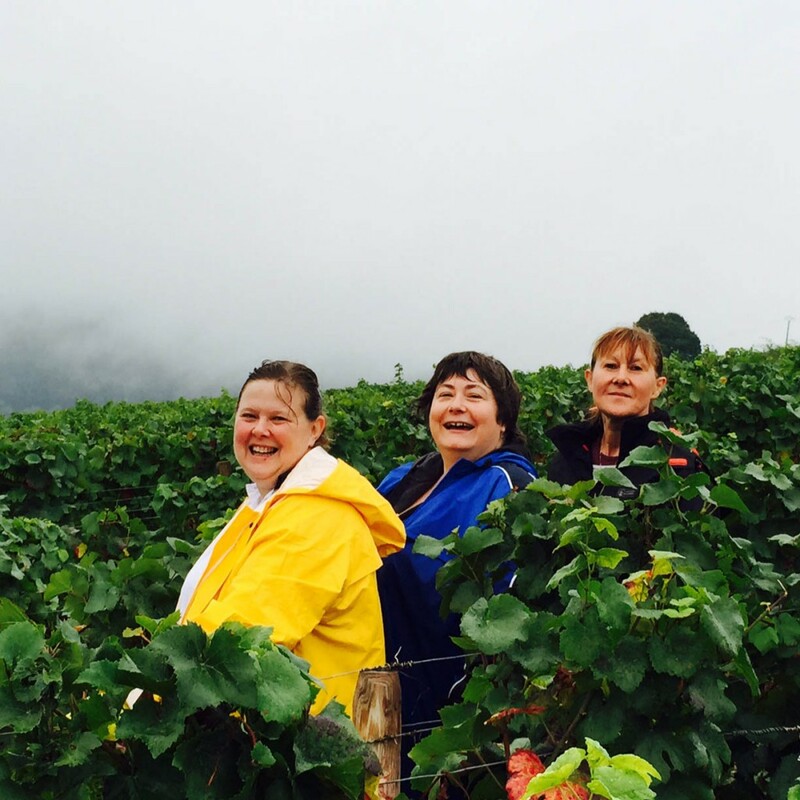 The grape pickers have packed their bags, and Claire and Christine get down to work in the winery, serene yet excited to tackle the latest vintage. 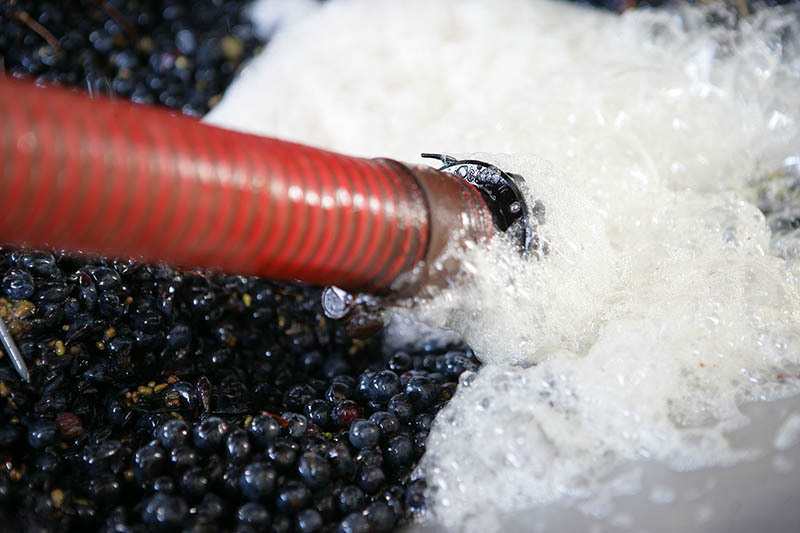 As soon as the 100% hand-picked grapes come in from the vines, they are tipped into the crusher-destalker. They will macerate to music at between 15-18°C for eight days. Under Claire’s watchful eye, Christine climbs up on the vats to push down the caps of skin and pips, a delicate task, not to say risky. They then let the must rise in temperature. Each morning, it’s the same ritual: The temperature and density are measured. Then twice a day, Christine pumps over the must, which is essential to avoid oxidation in the cap. After 18 to 20 days in the vat, alcoholic fermentation should be completed. Claire and Christine then devat the must, separating the free-run juice from the solid matter known as “la gêne”. This vinification duet is a well-balanced blend of concentration, tradition and decibels. 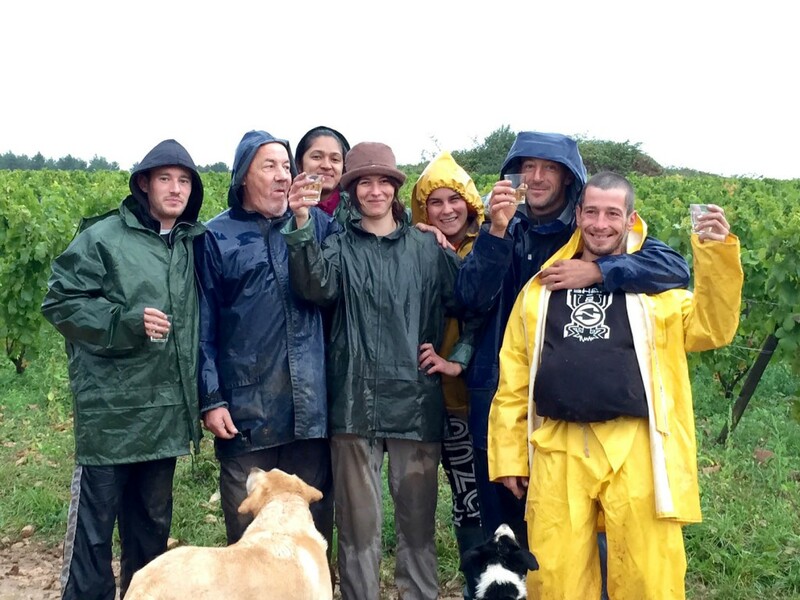 With Grandpa Marcel, Grandpa Gaby, Christian, Michèle, Christine then Claire, the estate’s wines have changed temperament. One might say they have taken on a greater femininity. Some would say this is only logical, but not necessarily. For the daughters, these are above all the kind of wines they appreciate and enjoy making. Deep aromas, very forthright fruit, crispness and balance: The wines of the Gavignet-Béthanie estate are quite the opposite of a wine that tries to win over through its power. 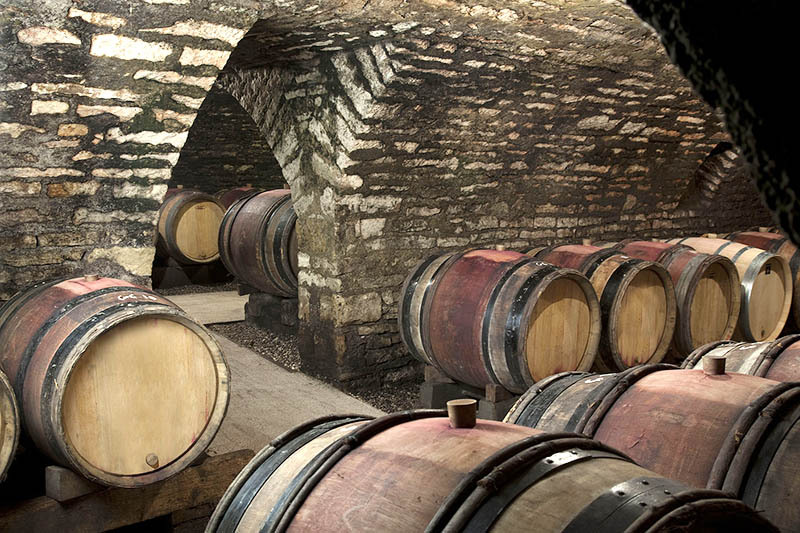 They are aged in oak – part new, part old – for 12 to 18 months depending on the wine and the year, and are then bottled on site at Nuits-Saint-Georges by Christine and Claire. 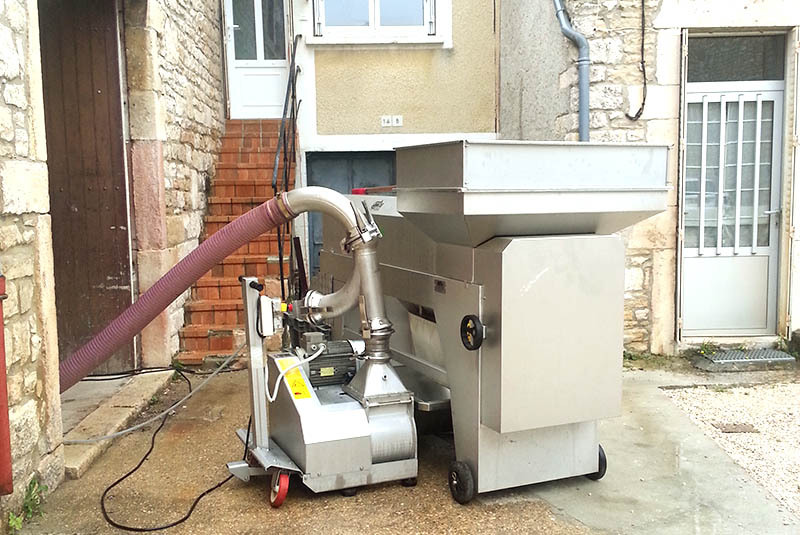 Two years after the harvest, they will delight the estate’s regular customers and lovers of Burgundy wine in general. With their whites, reds, rosés and sparkling, the sisters behind Gavignet-Béthanie now offer their own interpretation of the Côte de Nuits.